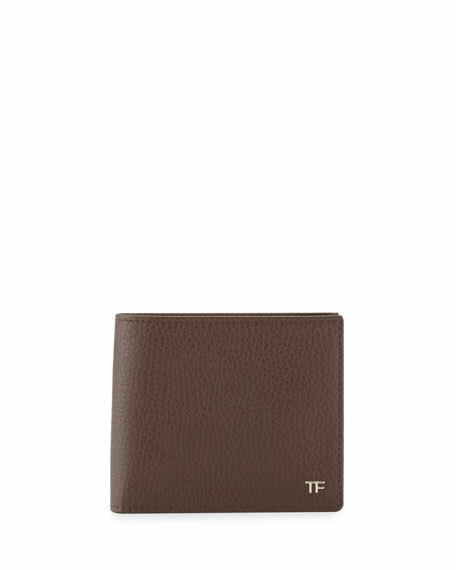 Tom Ford pebbled calfskin leather wallet. Signature TF logo hardware at corner. 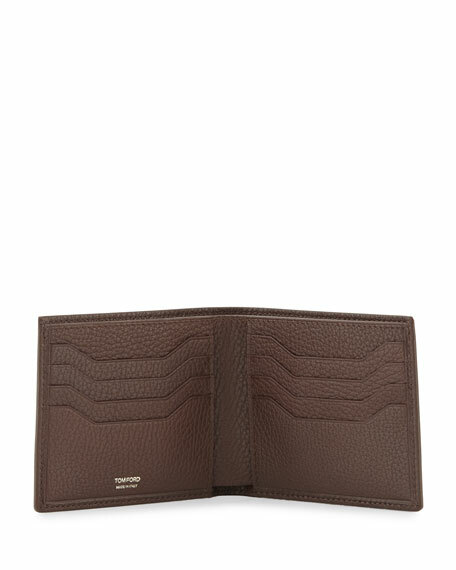 Inside; one bill slot, eight notched card slots, two slip pockets. 3.5"H x 4.3"W x 0.4"D.
For in-store inquiries, use sku #1819711.